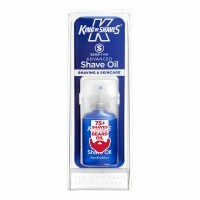 King of Shaves Shave Gel SuperCooling with refreshing Menthol is formulated to give you a superbly close and comfortable shave with no razor rash or unwanted irritation. Leaves skin smooth, supple and hydrated – not dry and tight. Ideal for sensitive skin. 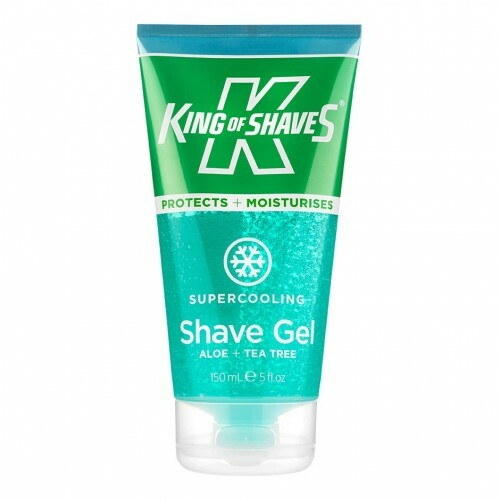 King of Shaves Shave Gel SuperCooling with a burst of refreshing Menthol is formulated to give you a superbly close and comfortable shave. 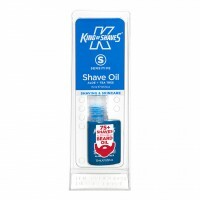 It delivers enhanced razor glide and excellent blade performance leaving your skin incredibly smooth, supple and hydrated, not dry and tight. 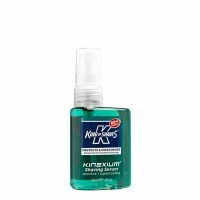 Aqua (Water), Aloe barbadensis (Aloe vera) leaf juice, Sodium laureth sulfate, Glycerin, Acrylates / C10-30 alkyl acrylate crosspolymer, Triethanolamine, Cocamidopropyl betaine, Eucalyptus globulus leaf oil, Melaleuca alternifolia (Tea tree) leaf oil, Menthol, Sodium chloride, Benzophenone-4, Mentha viridis (Spearmint) leaf oil, Citric acid, Magnesium nitrate, Benzyl alcohol, Cinnamomum camphora (Camphor) bark oil, Potassium sorbate, Magnesium chloride, Methylchloroisothiazolinone, Methylisothiazolinone, Limonene, CI 42090 (Blue 1), CI 19140 (Yellow 5). PROTECT: After shaving, thoroughly rinse off, pat dry and protect skin with a moisturiser or balm.